Instagram has rolled out a new feature that is currently only available in Australia. Centering around the verification process to get the blue tick, some users now can apply to be verified on the social media platform. Previously, the verified badge was given out to accounts of well-known people to verify that they are the person in question and to avoid users creating accounts to impersonate celebrities. Verification request is now an option within settings for Australian iPhone and iPad users, there are a number of requirements for verification and users have to prove their identity. 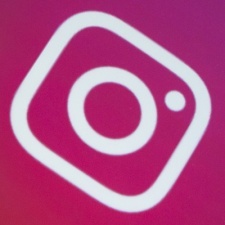 There has been long running issues with Instagram users and the previous verification process, the community has been asking for more transparency following on from years of suspected verification fraud. Upon submitting the verification request, Instagram will check the account to make sure it meets the requirements set. As well as this, another new feature, in the form of a questions sticker has been added to the Stories feature on Instagram. This new feature will open the door for a users’ followers or friends to ask questions to another user on the platform via the Stories feature. Simplifying the way communication works on the platform, taking away the need to upload a picture or video to ask a question to someone. The new verification request feature is due to be rolled out to Australian Android users in several weeks.